The city of Baalbek is one of the most important sanctuaries of the Roman world and its monuments are impressive evidence of the Roman architecture of the imperial period. The origin of the name of the city is not precisely known but judging by the term “Baal” which means “lord”, it might mean ‘God of the Beqaa valley’ or ‘God of the town’. During the Phoenician period, the city was only an agricultural village that was used to worship fertility gods. However, after the arrival of the Romans, the region became one of the most celebrated sanctuaries. The Temple of Jupiter is one of the main structures of the region but only portions of the massive building remain today. Roman emperors were known to travel many miles in order to make offerings to their gods at this temple. Several heavy stones have been found at the Temple of Jupiter including one which weighs as much as three Boeing 747 aircraft. Other sites include the Temple of Bacchus, Temple of Venus, and extensive Arab fortifications. 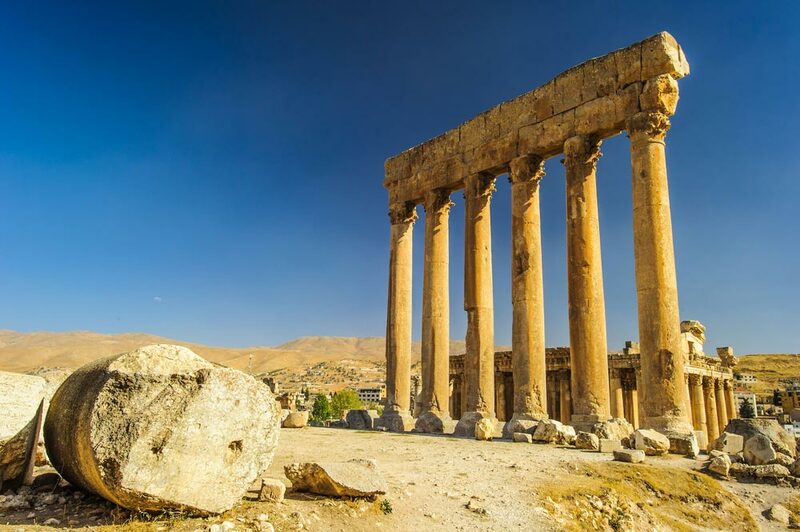 Tourism is an important component of the economy when it comes to the modern town of Baalbek. The annual Baalbek international Festival is held during the summer at the temple complex. The history of this festival is deeply rooted in European culture. It’s important to note that people hear more about Baalbek’s local Hezbollah party than its temples. The initial aims of the party were to bring justice to those accused of war crimes during the civil war, to eradicate ‘Western colonialist’ influences within the country and to also create an Islamic government in Lebanon. Hezbollah has now replaced its aims with the desire to destroy the ‘unlawful entity’ that is present-day Israel. The best time to visit the sights in the city is early morning; late afternoon is even better since the crowds are thinner and temperatures are cooler around then. The best month to visit Lebanon is April when the weather is dry. Baalbek is located in one of the most fertile farming areas of the region. The columns that were used to build the Temple of Jupiter were mined in Egypt and it is mysterious as to how they got to Baalbek without modern engineering and what were the tools that are used to move large materials in ancient times. Baalbek used to be called by the name Heliopolis or the City of Sun in ancient times. The Byzantine Emperor Constantine officially closed the Baalbek temples when Christianity was declared to be the official religion of the Roman Empire. The largest dressed stone in the world found in the Temple of Jupiter is extremely mysterious since it lies away from other structures all by itself.